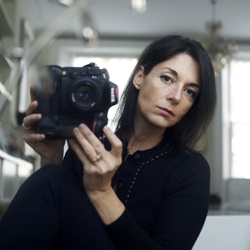 Mary McCartney Became an Artist With a Little Help from Linda and Paul . Beatles Radio: The Beatles, Solos, Covers, Birthdays, News The Fab 4 and More! One of my earliest memories is my parents sitting me on a pony in Scotland. They carefully wrapped my hands around the horse’s mane and slowly walked me around. I must have been about a year old. The pony’s name was Coconut. He was very kind and patient. I remember the coarse texture of his mane and how I held onto it tightly. Riding him that young gave me an early sense of pride and self-confidence. As a family, we spent most summers together at a remote farmhouse on Scotland’s Kintyre peninsula. During the school year, we lived in central London. Those summer stays were about seclusion and family. By spending long periods far away and close together, my parents, siblings and I were each other’s entertainment.